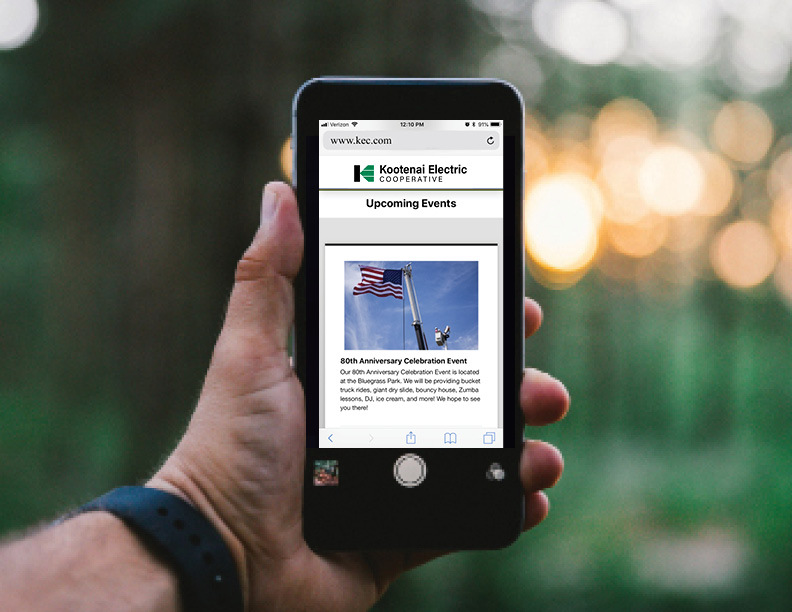 Kootenai Electric Cooperative is dedicated to keeping members informed on Cooperative issues and events. We have several ways to stay connected with our members. KEC’s monthly newsletter, PowerLines, is sent out with your monthly billing statement. KEC's blog features relevant Cooperative news. Recent videos will be highlighted on this page or you can view our entire video library on YouTube. Stay connected with us on Facebook,Instagramand Twitter. When neighbors are in need, we take action through Operation Round Up® grants. Because we are part of the community we serve, Kootenai Electric Cooperative is concerned about protecting and preserving our environment. View more of our blog posts.